Soft transparency, sophisticated shine, flawless surfaces, bright tone and incredible purity of color: discover what is behind the fascination of Vienna’s “white gold”! The Vienna Porcelain Manufactory Augarten has been producing premium porcelain since 1718. Every piece is hand-made and hand-painted at the Augarten castle. 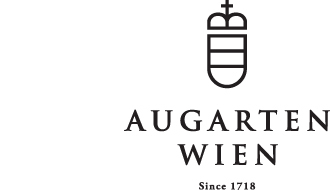 The Augarten brand symbolizes the continuity of timeless Viennese tradition, design and innovation, at the point where European cultures meet. 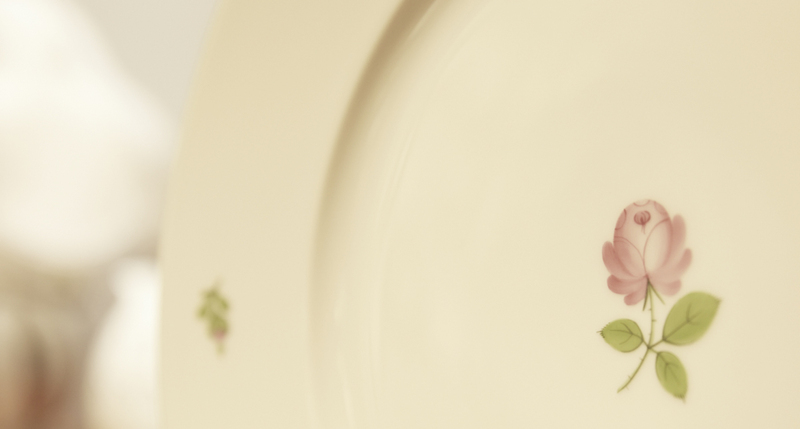 The best artists and designers of every era have all left their influence and mark on these porcelain pieces – pieces of extraordinary beauty both then and now. At Augarten, every piece is manufactured with traditional craftsmanship and a real love of detail. The portfolio extends to around 40,000 different products – from service to figurines, vases, pots and bowls to lamps and image plates. One of the smallest manufacturers around today, Vienna Porcelain Manufactory Augarten has maintained a high level of flexibility and successfully creates individual porcelain pieces for people who appreciate the extraordinary. Viennese porcelain is world famous for its figurines: their variety, idea and execution are unique. The elegance, the moments captured and the excellent painting make the figurines from the Art Deco period particularly enchanting. Every piece is a work of art in itself; unique in its quality, its idea and the perfection of its execution. With a history stretching back almost 300 years, the Vienna Porcelain Manufactory is one of Europe’s oldest brands. The immaculate craftsmanship of the molders, casters, embossers and painters is passed from generation to generation, so that the unmistakability of every individual piece is guaranteed into the future, too. 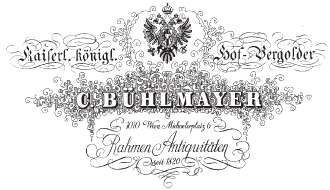 For almost 200 years, C. Bühlmayer has been synonymous with an exclusive range of picture frames, mirrors, decorative and ornamental pieces, carvings and gilded stucco, columns and interior embellishments. 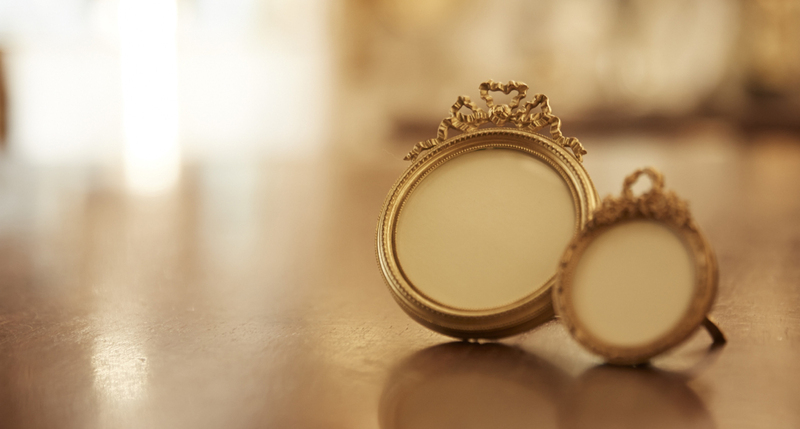 The original store features many treasures waiting to be discovered, from carefully restored antiques to precious mirror frames, faithfully reproduced picture frames, carved decorations and lighting fixtures. The C. Bühlmayer shop is located in the heart of Vienna, in a charming passageway connecting Michaeler Square and Habsburgergasse. The showroom and store with its large selection of picture frames, mirrors, carvings, antique furniture and glasses, built in the Laxenburger gothic style and still bearing all its original architectural features, is considered an insider tip among its international clientele. Customers are destined to find their favorite piece among these individual creations, each one crafted with a particular eye for detail: pieces are painstakingly gold leaf gilded and restored in authentic period style using traditional craftsmanship techniques, offering the perfect item for every taste among a rich variety of special molds and shapes for decorations, picture frames, round mirrors, round, oval and fan-shaped frames, medal cabinets and collector’s display cases. C. Bühlmayer offers professional service and consultation, a large and exclusive selection of original and modern pieces as well as a collection of historical desk and modern photo frames in addition to a range of stylish reproductions. Bühlmayer’s in-house workshops realize individual customer requests of the highest quality applying a wealth of knowledge, skill and experience. At C. Bühlmayer’s, antique picture frames are restored or faithfully reproduced, each step of the creative process – carpentry, polishing, gilding, carving, painting and decorating – being carried out at the company’s own workshops. C. Bühlmayer is entitled to carry the Imperial Crest, guaranteeing a standard of quality previously meeting even the Emperor’s Court’s high expectations. Since 1931 2M – Walter & Michael Müllner GmbH Nfg. KG has been practicing the traditional Viennese craft of sandblasting. The combination of this old technique with new innovative ideas and applications on glass, metal, wood, plastics, and stone results in products in the fields of art and technology. These can involve the restoration of former value or fascinating new artistic and technical developments in design and architecture. Engineer Fritz Spatny founded his sandblasting workshop in the fifth district of Vienna in 1931. At that time, he applied patterns or his own designs to Art Nouveau glass, sideboard glass, as well as gravestones and memorial plaques. Spatny primarily supplied glaziers, stonecutters, and undertakers with his work. Inspired by the technology and artisanry of sandblasting, 2M combined its glasswork under one brand – Edition Fritz Spatny. The main focus of 2M’s sandblasting technology is creating artistic designs on glass in all styles with an emphasis on Art Nouveau. Older, rare techniques like ice patterned glass and craquelure are still used here. In addition to glass, the sandblasting artists also work with metal, stone, wood, and plastics. Nano coatings, colored varnish and gold coatings are used here as well. This way 2M creates historical and modern products, ranging from plaques to hollow glassware to engravings and much more. At 2M many steps are still done by hand despite increasing technology; these steps cannot be replaced by machines. And this also allows new possibilities for design. For instance, the 3rd generation of the family business was able to get involved in the automobile industry, thanks to its innovative strength. 2M’s developments and products can also be found in the Airbus A380 of well-known airlines. The second 2M division, carpentry, plans and produces high-end furniture for sophisticated interior design and the entire commercial sector. As a specialist in unusual requests, precise details and the best quality and innovation, 2M applies its penchant for design in a variety of ways. Sophisticated craftsmanship with a hint of nostalgic romance: as one of the last people making cases and boxes in Vienna, Friedrich Fialka III. implements and presents his customers’ ideas and requests. The company was founded by his grandfather more than 90 years ago. Nothing gives an object more grandeur, weight and worth than a case custom-designed for it. 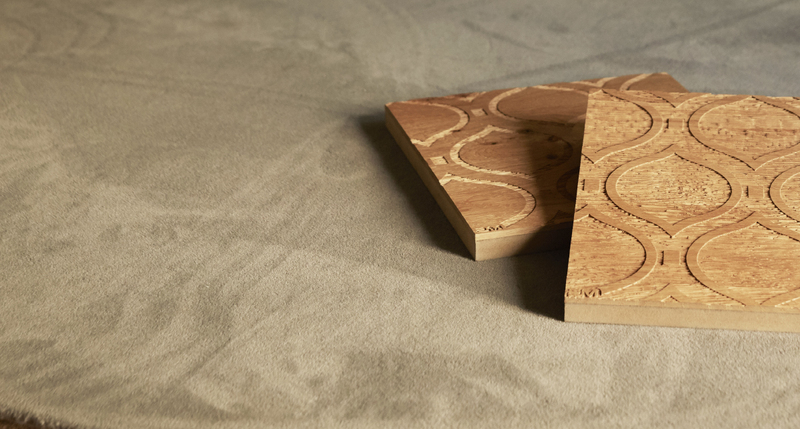 This is Vienna’s most renowned address for the creation of exclusive cases, boxes and strongboxes, and highquality products are made by hand for precisely this purpose. The carefully manufactured traditional products have been enclosing pieces of jewelry and valuables lovingly in fine leather and exquisite velvet, in exclusive paper with an impressive appearance as well as elegant wood, fine silk and durable bookbinder’s cloth for three generations. As the grandson of the founder, Friedrich III is today the last master of his craft in Austria. Some 10,000 cases and special orders made completely by hand leave his workshop each year. In doing so, not only does his workshop rely on high-quality materials but also on old in-house machinery and special tools as well as techniques that only a few initiated workers have mastered today. 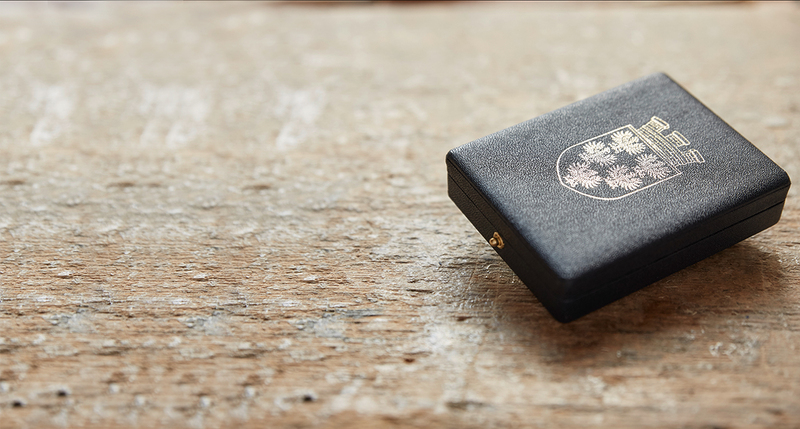 Every day, the traditional facilities in Schottenfeldgasse create new, attractive badge, medal and insignia cases, hat boxes, cutlery cases, jewelry boxes, strongboxes, jeweler cases, sideboard furniture, luxury boxes and much more. The company has now expanded its offering to include jeweler’s supplies as well as its Italian partner company Arca’s product range. 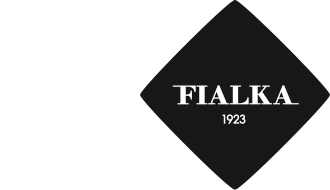 And, since 2006, Fialka has also produced badges, insignia and medals to go with the cases. With trend-setting design and a talent for craftsmanship, Kalmar has continued the tradition of not only the Austrian Werkbund movement, but also the Wiener Werkstätte and Künstlervereinigung Sezession. Under the brand Kalmar Werkstätten, the company’s legacy has been continuously reinterpreted from a contemporary perspective since 2009. 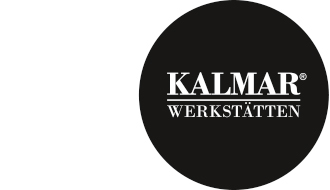 Whilst keeping a strong connection to the past, Kalmar Werkstätten takes logical steps into the future. After all, significant works that were created during the time of the Werkbund movement demonstrate design features that are increasingly found in the design culture of the 21st century. The creative director Garth Roberts came across the promising Werkbund designs in the Kalmar archives and applied his new interpretations to a selection of these. The results are aesthetically stunning and are some distance away from mere new editions. Garth Roberts speaks a contemporary design language. The value he places on ground-breaking design and master craftsmanship preserves and strengthens the company’s tradition. The lights made by Kalmar Werkstätten effortlessly combine beauty with craftmanship, connect minimalist forms with refined functionality and bring together simple elegance and premium materials. The characteristic shapes of these lights blends beautifully into modern living areas or workplaces, and the atmosphere they create makes any space feel special. Jarosinski & Vaugoin, Vienna´s oldest silversmith workshop, is dedicated to luxury and tradition. For more than 160 years Jarosinski & Vaugoin have been making precious flatware, exquisite tableware and luxurious articles of daily use, silver jewelery and objets d‘art only in real silver. The art and craft of silversmith is a centuries-old tradition in Vienna, cherished by Jarosinski & Vaugoin since its inception in 1847. The company is one of the last in its guild to manufacture highquality silver objects by hand, applying traditional craftsmanship. Consequently specially- created and custom-made pieces could be offered to the clients. The extensive flatware collection encompasses more than 200 different cutlery patterns with an enormous variety of models, from plain to richly ornamented forms, all major periods being represented. The most popular styles are Baroque, Chippendale, and Art Nouveau as well as the handle ornaments of the “Wiener Werkstätte “. These are exclusively reproduced by Jarosinski & Vaugoin. Their sublime creations displaying an extraordinary quality of material and craftsmanship are in exceptional demand all over the world. The company’s international success has always been based on the manufacture of heavy, hand-forged table cutlery and table-ware. Each item could be individually designed, entirely to the client‘s specification. A professional consultation, reproductions, repairation work and engravings as well as comprehensive wedding gift registry support are of course part of the service. Jarosinski & Vaugoin, silversmiths, is a name that represents first class craftsmanship and exquisite silver design. 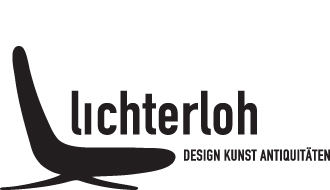 Lichterloh deals in classic original art and furniture from the 20th century. Since 1990, Lichterloh has presented international and Austrian designs on its expansive premises near Vienna’s Museum Quarter. LICHTERLOH is not a flash in the pan that goes out again immediately – the three owners, Dagmar Moser, Christof Stein and Philipp-Markus Pernhaupt, have had a burning interest in reconditioning and examining Austrian design for many years. In line with their current mission statement AUSTRIAN DESIGN 20/21, their focus is on Austrian furniture designs from the 20th and 21st Centuries. Another field of activity for these passionate collectors, who are keen to highlight not the superficial patina, but the core – the design, the artistic and artisanal work of the designers and manufacturers, and the material. Furniture and lamps are professionally restored and upgraded with the latest technology in the company’s own workshop, where new furniture designs are also put into practice. The fact that this does not contradict the design year in terms of aesthetics predominantly comes down to kill in seeking out the right materials and working with them expertly. Pieces are presented both in the central 6th district, at Gumpendorferstrasse 15-17, and in the rapidly booming 10th district around Vienna’s central station, at Brotfabrik Wien, Absberggasse 27. The company’s own designs, which have been being developed and executed since 2000, reflect this examination of the past, necessitating an attempt to understand and design the present and the future. 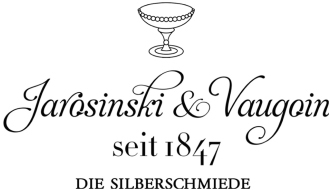 The master glazier Josef Lobmeyr opened his first store in Vienna in 1823. Like six generations of the family before us, we manufacture crystal, today using an entirely unique refining method based on a knowledge of old handicraft techniques and careful attention to detail. Our family business presents our artisans with the opportunity to create individual designs and new ideas of the highest quality by being allowed to practice and express their love for the craft. Lobmeyr constantly searches for a contemporary interpretation of glass while keeping in mind its own classic tradition. Time and again, innovations have emerged from our intense interest in crystal, kept alive in our constant dialogue with artisans, designers and customers. In 1835, Josef Lobmeyr furnished the imperial dining table with his “Prism Cut Service” and earned the title of official purveyor to the court. Ludwig Lobmeyr’s unostentatious Drinking Set No.4 from 1856 is mentioned to this day in numerous highly acclaimed publications. Stefan Rath picked up the Viennese Baroque theme with his 1905 series. Josef Hoffmann created a muslin glass service in collaboration with designers from the Wiener Werkstätte (Vienna Workshop). Adolf Loos’ Drinking Set No.248 from 1931 anticipated the simple shape of an ordinary drinking cup still produced today. Oswald Haerdtl’s “Ambassador” and his sphere boxes were awarded the International Grand Jury Prize at the 1925 Art Deco Exhibition in Paris. In 2007, Ted Muehling’s tumbler series subtly combined style elements of diverse eras. Many pieces are part of major design collections at museums like New York’s MOMA, London’s V&A and the Vienna MAK. 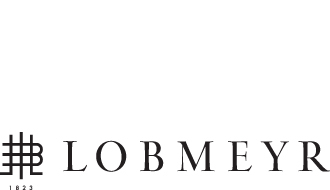 The house of Lobmeyr has for centuries explored the individual characteristics of crystal and examined different designing and manufacturing techniques in order to accentuate and retain its magic. 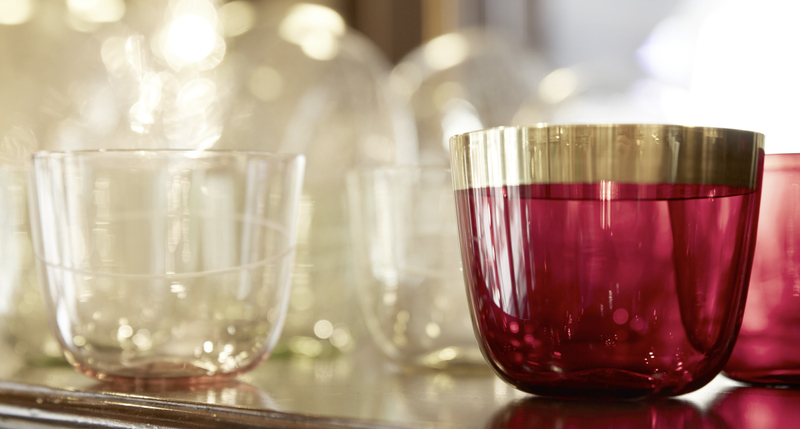 Each glass is mouth-blown in a beechwood mold; the handcut pieces are polished manually. Another unique feature is the copper wheel engraving technique, which is employed to cut monograms, ornaments and vivid patterns into glass. Österreichische Werkstätten (Austrian Arts and Handicrafts) are an independent and private association sponsoring Austrian artists. It is our aim to offer arts and crafts products of the highest standards of quality and beauty. Adhering to the philosophy “more beauty for each day”, established by company founder Josef Hoffmann, the Österreichische Werkstätten presents “exquisite things for everyday life”. Österreichische Werkstätten, started by Josef Hoffmann in 1948, represent a tradition going back to the Wiener Werkstätte and the Österreichischer Werkbund (Austrian Work Federation), founded at the beginning of the 20th century. The history of the Österreichische Werkstätten is at the same time the story of modernity coming into shape. The founders’ definition of art and an artistic approach to everyday life, is today, as then, a main focus of the company. Österreichische Werkstätten has developed into a modern service cooperative, defining its purpose as a platform for sponsoring and promoting Austrian artists by offering select pieces of their art for sale. 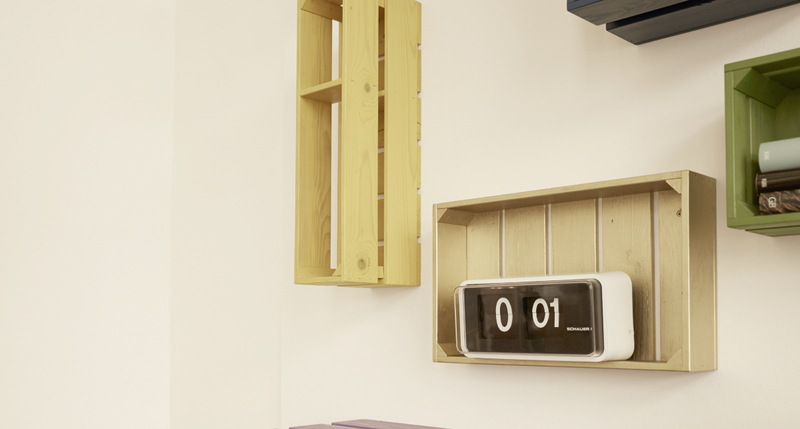 This unusual arrangement results in the company’s extraordinary product range, which includes the latest in Austrian design as well as classic modernist forms and objects by numerous Wien Products member companies. Always heeding the motto “form and function”, Österreichische Werkstätten’s basic premise of artistic design has been well-protected. The highest level of functionality and superior aesthetic standards are combined with a first class price-performance ratio. 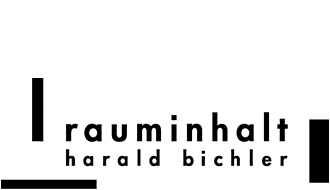 The design gallery harald bichler_rauminhalt is located in the heart of the “Freihausviertel” gallery scene in Vienna’s Fourth District. The gallery program focuses on Austrian and international 20th-century design including rare pieces by Roland Rainer, Lilly Reich, Poul Kjærholm, Arne Jacobsen, Pierre Jeanneret and Serge Mouille. Contemporary design from Konrad Friedel’s luminous “Schalentiere” made of bronzed and varnished spherical cutouts to usable “cartonage” sculptures made of powder-coated aluminum by Sébastien de Ganay are to be discovered at harald bichler_rauminhalt. With “edition_rauminhalt” the gallery that specializes in 20th-century design has recently begun to offer clients exclusive objects conjointly developed with young designers. 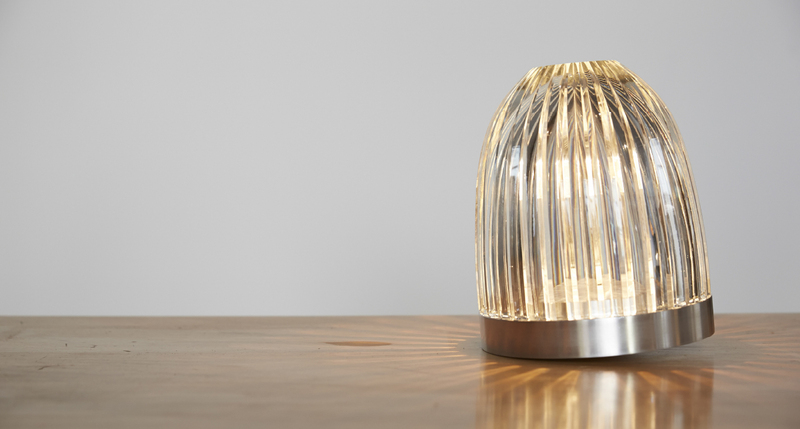 These limited editions also include “Iris”, a table lamp designed by Patrick Rampelotto. It is named after twenty-five art deco chandelier elements retrieved from the archives of the Viennese glass manufacturer J. & L. Lobmeyr. 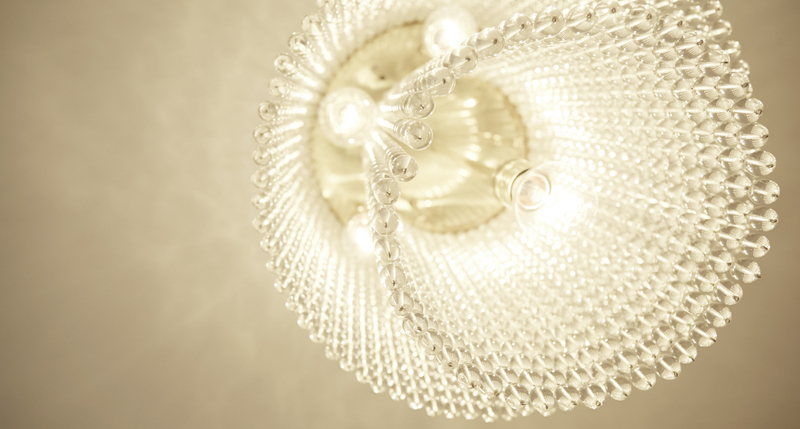 The crystal’s play with light and shadow is reminiscent of the human iris. Rampelotto’s creative intervention transforms it into a sparkling new and independent light object. Regular solo and group exhibitions feature the creative positions of contemporary designers and artists and discuss their relevance for recent design historical developments. Spolia is Latin for spoils or repurposed building elements from a past age. Here they are reinterpreted by alternating designers in limited editions. 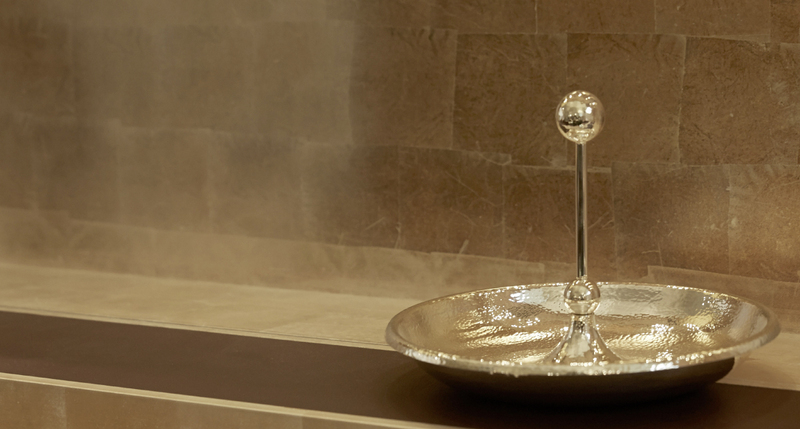 The result is Spolia’s design pieces whose shapes and materials are enriched by their history. Relevant and unique. Originating with the idea that historical elements have special value, Spolia focuses on repurposing tried and tested materials and putting them in a new, contemporary context. Spolia carries on an old cultural technique: salvaging – often literally – buried architectural heritage. 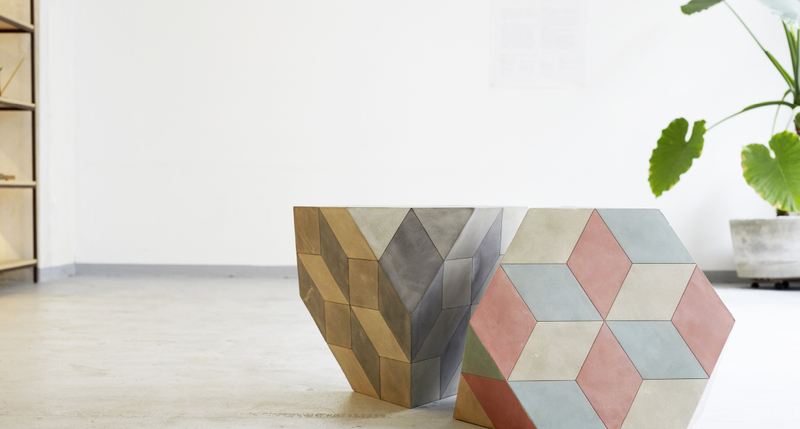 These materials are reinterpreted with great care in collaboration with young designers. By bringing together the historical materials and the right designer, designs are created that reintroduce the uniqueness of the antique elements into living space. The result is limited editions of select furniture and sculptures in which the focus is on historical building elements: outstanding craftsmanship that has gained quality over time and carries history within. Something special always means something different. The extraordinary silver works of art by the Wiener Silber Manufactur combine premium quality silver with the exquisite design of international artists. Time-honoured craftsmanship, paired with precious, value-retaining materials and exclusive, contemporary designs. 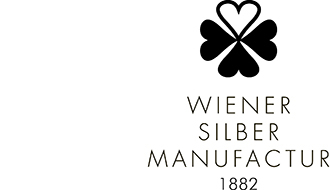 Founded in Vienna in 1882, the company on which the Wiener Silber Manufactur is based always valued close cooperation with the avant-garde of design. The revolutionary designs of artistic personalities like Josef Hoffmann, Kolo Moser, Otto Prutscher and Oswald Haerdtl are part of our cultural heritage. The around 11,000 drawings in the in-house archive document the turbulent history of this traditional craft business, from Historicism to the Secession to the 1950s. 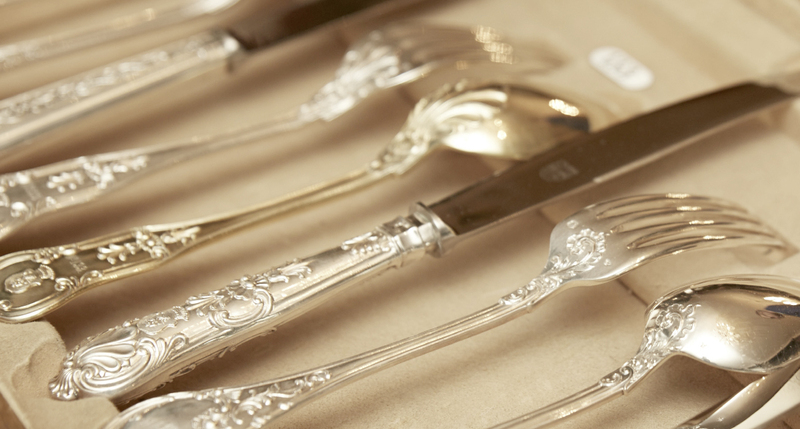 Through its relaunch in 2009, the Wiener Silber Manufactur was well-equipped to position itself internationally as a high-ranking producer of classic silver tableware and selected designer pieces. The workshop is shaped by over 130 years of tradition, and features original models and tools. But the masters at work there represent the company’s future. It is they who are ensuring that the art of silversmithing lives on in Vienna, with their enthusiasm for new ideas. Successful collaborations with world-famous designers are the perfect proof of their unique expertise. 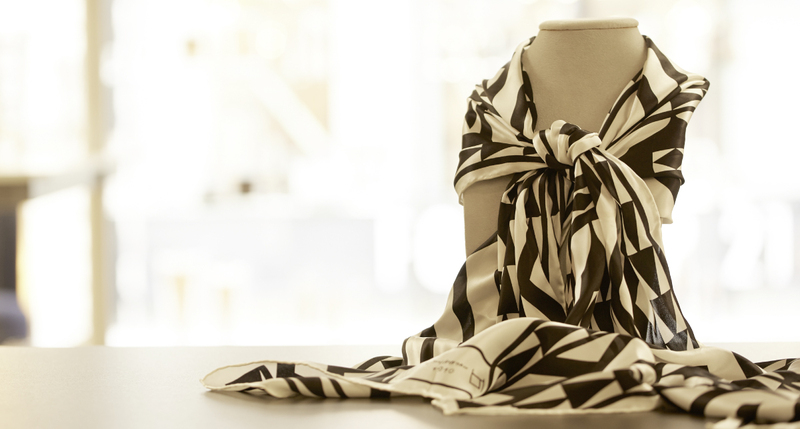 The shop at Spiegelgasse 14, Vienna 1, offers a wide selection for people who love what is special. It provides an exclusive backdrop not only for silver cutlery, jugs, bowls etc., but also for exciting creations from young designers. The company is also happy to accept repairs and requests for bespoke pieces. Extraordinary design demands particularly highquality materials. The Wiener Silber Manufactur works exclusively with a silver alloy of 940/000. Because the German Hallmark Act only includes alloys of up to 925/000 (sterling silver), the higher alloy is guaranteed with a special hallmark and certificate. The finer the silver, the better it is protected against oxidation. And the more often it is used and polished, the more it continues to gleam. Incidentally, the silver cutlery from the Wiener Silber Manufactur can even be cleaned in the dishwasher. 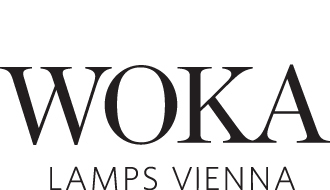 Woka Lamps Vienna is a paragon for timeless design. The company gained international appreciation for its reproduction of lamps from the designs of the Wiener Werkstaette and the great masters of the early 20th Century, such as Josef Hoffmann and Adolf Loos. Elegance and simplicity of form are the components of good design at Woka. High quality and functionality are the benchmark – and the attention is on the detail. Every lamp is produced by hand, so that each passes on a piece of tradition and history. Original tools, some of them from the time of the Imperial-Royal monarchy, and special moulds ensure authentic production, precious materials such as sold brass in any finish, hand-cut crystal glass, hand-blown opaline glass and silk-shades. 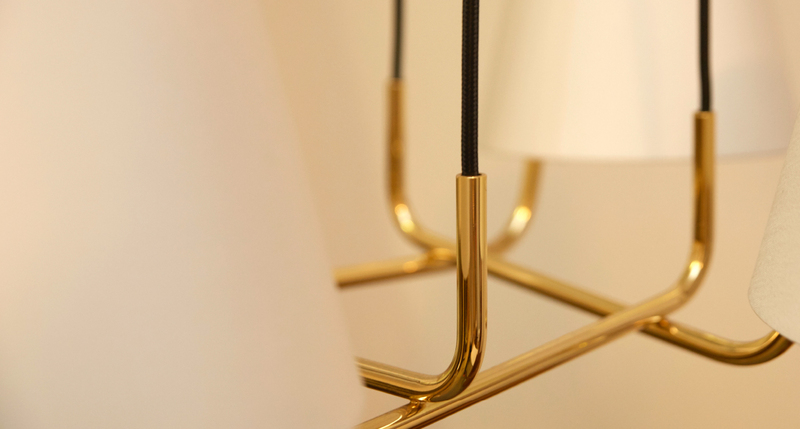 Although a brass or nickel surface is typical, the body of the lamps can be given different structural or material properties on individual request. In order to constantly expand the product range with the latest design elements, Woka now works internationally with contemporary artists such as Matteo Thun and Andre Heller. Led by Wolfgang Karolinsky, the company offers not only the Woka Collection, but also exquisite vintage chandeliers from 1800 to the present day, as well as antique furniture, objets d’art and design icons. 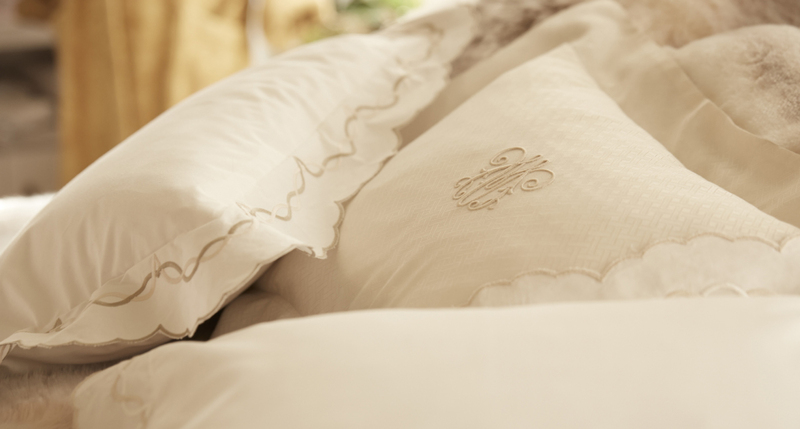 Schwäbische Jungfrau has been a household name since 1720, producing fine table, bed and terry cloth linens. The core of the company philosophy is based on superior quality, a tasteful sense of style and excellent service. Schwäbische Jungfrau was awarded the Austrian National Coat of Arms award for outstanding services. Since its inception, “Zur Schwäbischen Jungfrau” served as supplier to the aristocracy and upper middle classes. Around 50 years ago, the 285-year-old business was taken over by Hanni Vanicek, whose open-minded, cosmopolitan and creative nature was quickly rewarded with international acclaim. Working with her successor Theodor Vanicek, her clients hail not just from Europe and the United States, but also from Japan and the Middle East. Customers from all over the world appreciate the company’s vast product range: Linen and cotton tablecloths, in damask or plain, with lace, handwoven, embroidered, printed or painted by hand, for every occasion and available in all sizes. Bedding with matching bedspreads made from linen, cotton or silk, in damask or plain, hand-embroidered, printed or framed with Swiss Embroidery borders, in all sizes. Terry cloth articles in a variety of colors, plain or embroidered, with coordinated bathrobes, matched to the bed linens or made from waffle piqué or terry cloth linen. Pillows and comforters filled with down, cashmere, camel hair or silk. Special anti-allergenic covers and blankets made from wool or cashmere. Interior fabric furnishings for airplanes and yachts. An in-house studio, where special orders, made-to-measure products of high quality materials, embroidery and monograms are created to individual specifications, offers clients an experience of pure luxury. On-site consultation is also a possibility, as requested by the Sultan of Pahang and the King of Malaysia. In these instances, Schwäbische Jungfrau provided full furnishing and decoration services.